Aquarium cycle is an important process that you should know when starting a new fish tank. It goes by many names, like nitrogen cycle, break-in cycle, start-up cycle, or new aquarium cycle. When it kills off your fish, it is known as new tank syndrome. Let’s look at what makes up the aquarium cycle, and why it is so important. When you first add fish to the tank, they excrete abdominal waste into the aquarium. This waste releases a high amount of ammonia into the water of the fish tank. Ammonia is hazardous to fish. Your fish could end up dying, if you don’t find a way to remove it from the water of your fish tank. The ammonia turns into nitrite which is even more harmful for the fish. What you have to do is to convert the nitrite into nitrate which is safe for your fish to live. This is accomplished through the aquarium cycle. This is a necessary process when you have a populated tank. Now that you know why you need to follow this cycle, let’s find out exactly what you need to do in it to keep your fish healthy and alive. Let’s face it. None of us are scientists. We won’t be able to determine when exactly we have to start taking measures to reduce ammonia levels in our fish tank without a tool to support us. Before you start setting up a fish tank, get yourself an ammonia test kit. This kit will help you identify the ammonia levels easily. A good way to keeping the ammonia levels low is by changing the water in the tank up to 50% after you find waste in it. In this way 50% of the ammonia will be replaced by fresh water. You can speed up the reduction of ammonia by seeding the aquarium and adding decorations into it. In fact, you can also add plants into the aquarium for removing ammonia quickly. Plants absorb ammonia quickly and make the environment of your tank safe for the fish. The new tank syndrome can be seen as a nuisance to you but for your fish it is a process that creates the difference between life and death. If you really care about the colorful little creatures that you have kept in your home to bring joy, you have to take care of them properly. Use the above mentioned techniques to carry out this phase in the cycle smoothly. 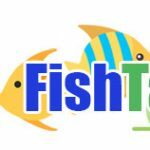 If you need more help in this respect, visit our website, FishTanksAndMore.Com. We’re here to address all your concerns!